ZETKAMA iron foundry started its activity in 1946 in Kłodzko, and then in 1979 was moved to Ścinawka Średnia, where, in the buildings of former power plant Kraftbahnwerk Mittelsteine, conducts its operations to this day. The facility has its own pattern shop and is able to adapt patterns entrusted by the client, and on the basis of 2D or 3D documentation create new foundry tools. Thanks to sustained investment ZETKAMA has up-to-date machinery. 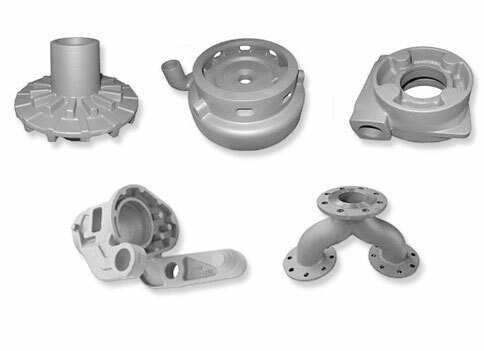 It specializes in the production of grey cast castings and various types of nodular cast iron. Thanks to it we daily design and manufacture products like stop, butterfly, float and bellow valves, liquid level gauges, rubber expansion joints and strainers. Each of offered solutions is suitable for wide range of industrial applications, including maintaining the proper flow of neutral fluids, diathermic oil, glycol and water. They are resistant to critical and demanding environmental conditions, while remaining environmentally friendly themselves. The annual production capacity of ZETKAMA iron foundry is approximately 10 000 tons.